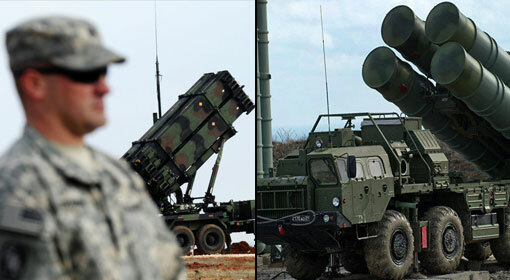 Washington: The United States has announced that it will supply the air defence system Patriot to Turkey. The US Department of State has paved the way for Turkey to purchase Patriot worth $3.5 billion. The preparation of the United States to supply the Patriot system to Turkey at a time when Turkey is buying the S-400 system from Russia is being applauded as a smart political move. The Defence Security Cooperation Agency announced this cooperation with Turkey. Under this arrangement, the United States will be supplying 80 missiles for the Patriot system. At the same time, the United States has included 60 missiles of a different type for Turkey. The United States will also be supplying the necessary radars, control stations and launching stations connected with the Patriot system. Turkey had discussed the Patriot system purchase with the United States in 2013. But the concerned military cooperation between the United States and Turkey fizzled out. Turkey was displeased with the United States over forming an alliance with the Kurds in Syria. Turkey had alleged that the United States is taking assistance from terrorists in the war against terror. Later, Turkey started negotiations with Russia for S-400, the advanced air defence system. It indicated that the talks between Turkey and the United States regarding the Patriot had gone bust. After that, Turkey even invited tenders from China for the supply of air defence system. But President Trump started movements to establish cooperation with Turkey once again. A few weeks ago, Secretary of State Mike Pompeo and Secretary of Defence James Mattis of the United States visited Turkey. Reports were published that the United States acceded to the long-standing Turkish demand to handover the extremist leader Fethullah Gulen. This was being named as an important development for improvement in the US-Turkey relations. But the Trump administration rejected this report. The United States created a sensation by announcing that Turkey will be supplied the Patriot system, within a few days after this. Meanwhile, Turkey has welcomed this decision of the United States. The Turkish analysts have claimed that this announcement for the Patriot transaction will be helpful for US-Turkey relations. At the same time, claims are being made that Turkey has shown willingness to give the details of the Russian S-400 system to the United States. Therefore, the Patriot deal does not remain a simple transaction but has become a very significant strategic development. But both the United States and Turkey have avoided to elaborating further in the matter.